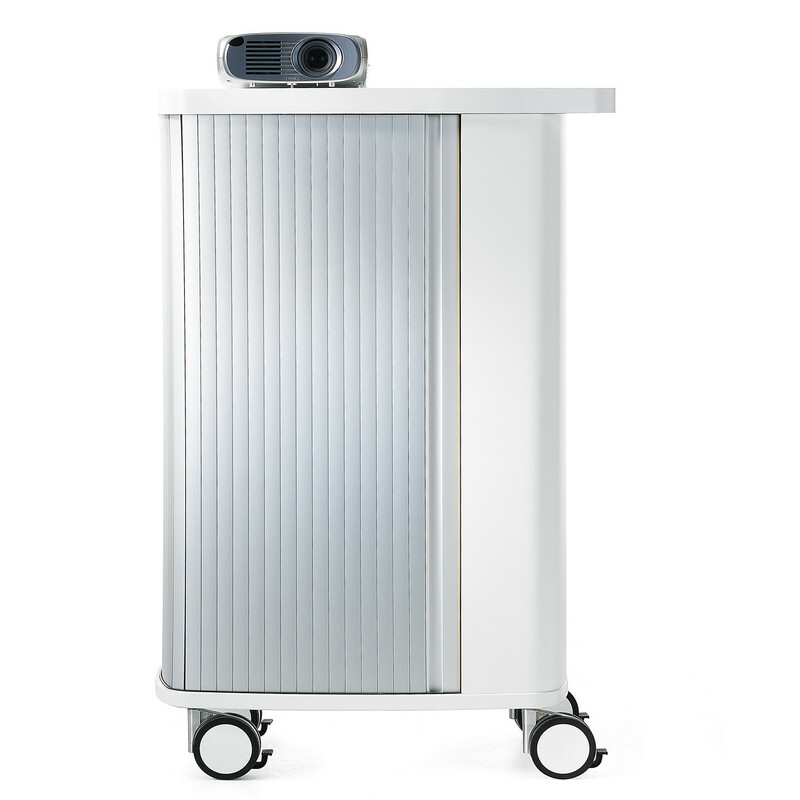 Rover Pedestal is a mobile storage pedestal which is characterised by its dynamic profile; a useful unit that can be used in different ways. 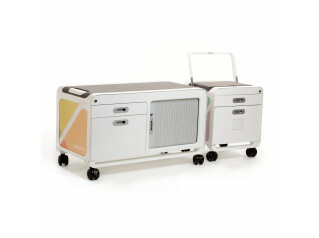 The Rover Mobile Storage Unit will address individual and collective storage needs in the working space. 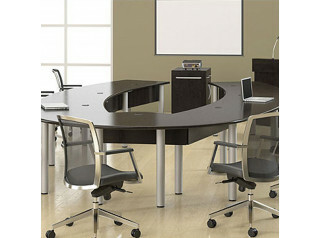 Featuring lockable wheels, this pedestal is a great piece of furniture in terms of mobile workplaces. 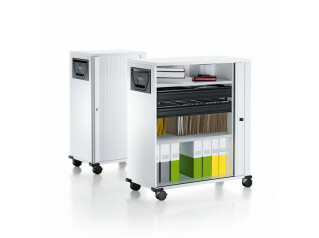 Available in four sizes, this product has been designed to store everything from standard-sized binders, paper and personal items, to laptops and projectors. 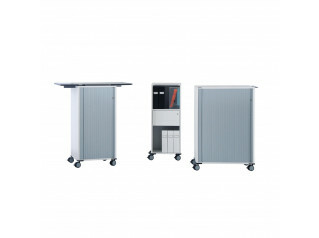 The taller units can be used as catering carts or projector carts as the top is inset into the wrap-around handle, so that objects cannot slide off when being moved. 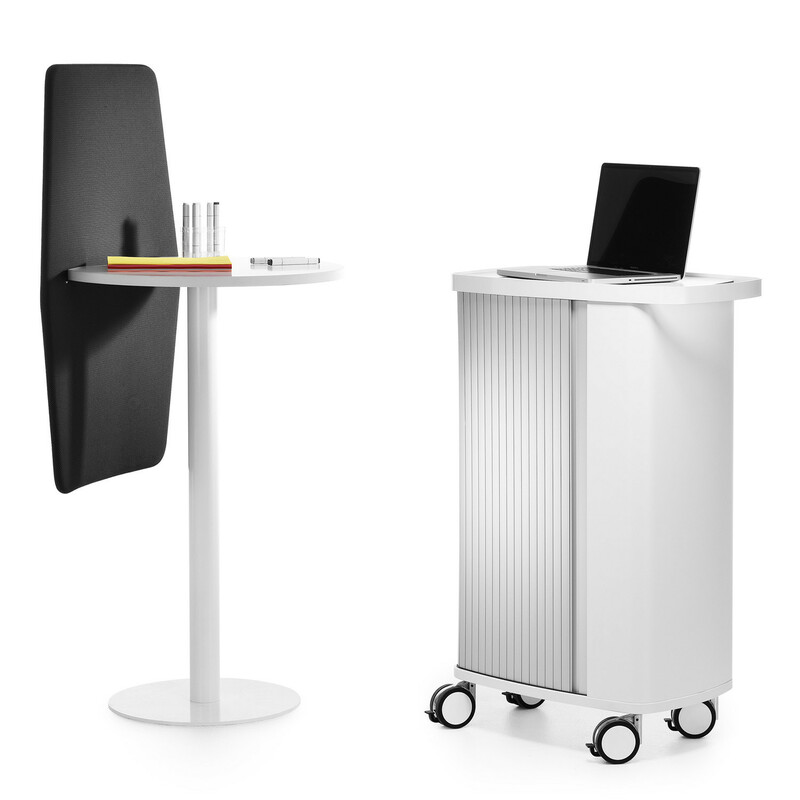 Rover is made from white lacquered MDF board and the tambour doors, which provide full access from all sides of the unit, are aluminium. You are requesting a price for the "Rover Pedestal"
To create a new project and add "Rover Pedestal" to it please click the button below. To add "Rover Pedestal" to an existing project please select below.